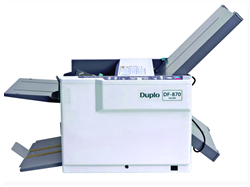 The Duplo DF-850 Tabletop Folder offers a fast, affordable and user-friendly solution for your folding needs. 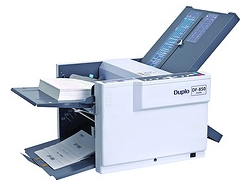 Replacing the DF-777 model, the DF-870 offers a faster speed of up to 241 sheets per minute and can process a minimum paper size of 3.59″ x 5.04″ (91 x 128mm). 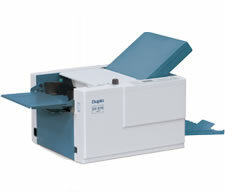 The DF-970, along with the DF-980 are the fastest and quietest table-top folders in the market today with a top speed of 260 sheets per minute.